The rapid decline in oil prices, and quick adjustments in exchange rates (with the US dollar appreciating and the subsequent weakening of most other currencies) are just a few examples of the economic factors at play that effect consumers around the world. In the U.S., the economy is booming. Elsewhere, things are not so good. As expected, the Chinese economy and its consumer market are on the rise. Many expect China to be the world’s number one consumer market in a few years. In consideration of world economic factors and present trends, here are the 25 Largest Consumer Markets In The World, ranked according to United Nations Statistics Division. Swedish consumers represent 0.57 percent of the world consumer market. Sweden’s economic outlook is fairly positive. The Swedes have been encouraged by low interest rates and new jobs in the service sector. This has boosted confidence in their present-day economy. They also have a stronger confidence in the future. Lifted by optimism, there has been a remarkable increase in the household debt ratio. In other words, Swedes are spending more money. Debt is increasing in big cities as well as university cities and is mainly a consequence of an overheated housing market. This could pose a risk in the future, economists warn. Austrian consumers represent 0.59 percent of the world consumer market. The anticipated upswing of the Austrian economy is expected to be driven by an improvement in global economic conditions. Economic activity has been particularly lively in Germany, Austria’s most important trading partner. Growth is expected to pick up across all of Austria’s export markets but is likely to remain below pre-crisis levels. Austrian exporters’ price competitiveness and market shares will remain almost unchanged over the forecast horizon. Austrian business leaders are particularly worried about the ongoing Ukraine–Russia conflict as a great share of the products they produce are exported to central and eastern European countries. Venezuelan consumers represent 0.64 percent of the world consumer market. Amid a sharp drop in oil prices, economic recession, and some of the highest rates of inflation in the world, President Nicolás Maduro will face renewed bouts of social unrest. Poor economic conditions and high rates of crime will pose challenges for Maduro, but the weakened opposition will represent little threat, ensuring that the administration serves out the remainder of its term. Access to US dollars will remain highly restricted and the business climate will remain hostile. This past February, the government launched an overhaul of the exchange rate system which includes a new mechanism called Simadi that allows for legal trading of the bolivar. Venezuelan authorities are hoping that Simadi will help ease dollar shortages and counteract widespread black market activity in the country. The sharp fall in oil prices has put pressure on government finances and resulted in large goods shortages as oil is the main source of Venezuela’s dollar income. 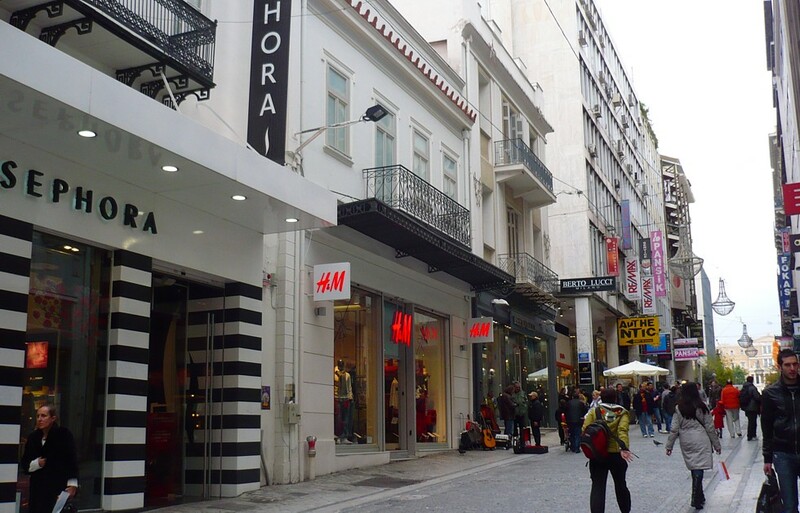 Greece’s consumers represent 0.69 percent of the world consumer market. After six years of recession, Greece’s economy grew in 2014 and recorded a 0.8% expansion. The result was driven largely by a recovery in both consumer consumption and the external sector. This past February, Eurozone finance ministers approved a four-month extension of Greece’s EUR 240 billion bailout program. If Greece fulfills a number of conditions, including tackling tax evasion and honoring completed privatization sales, the country will receive another EURO 7.2 billion in aid in the upcoming months. However, the government faces a tough road ahead. Looking forward, it is unclear what will happen after the bailout expires and how committed the government is to fulfilling creditors’ demands. Belgian consumers represent 0.71 percent of the world consumer market. The pick-up in consumer demand, driven by household consumption and business investment, should continue to spur economic activity, with further support coming from the gradual firming of export growth. However, prospects remain fragile due to low confidence, weak competitiveness and fiscal consolidation. The unemployment rate is projected to fall slowly. Inflation will pick up in the course of 2015, but will remain modest due to limited imported price pressures. With annual structural budget improvements of at least ½ per cent of GDP in the coming years, the government plans to reach a balanced budget in 2018. As planned, consolidation measures should be tilted towards expenditure restraint, since spending cuts would make room to lower the tax burden, especially on labor. A tax shift from labor to consumption and capital gains would also reduce labor costs and increase competitiveness. Polish consumers represent 0.75 percent of the world consumer market. Gradual economic recovery will continue in Poland/Central Europe and the Baltic countries in 2015-2016 despite the Russia-Ukraine conflict, which is making Russia stagnate and Ukraine’s GDP plunge this year. But growth in Poland, Latvia and Lithuania will be moderate. Swiss consumers represent .82 percent of the world consumer market. The Swiss economy had solid growth in 2014 despite a moderation in the fourth quarter due to a weaker global trade environment. The latest economic data, however, point to a pessimistic start to 2015. The economy has started to suffer the consequences of the currency’s dramatic appreciation following the removal of the euro-franc peg in January. A strong domestic currency will have a negative effect on exports, which are a key driver of growth. Indonesian consumers represent 0.91 percent of the world consumer market. Like other markets in the region, Indonesia also faces mounting inflation, a falling currency as part of wider emerging market sell-off, and relatively weak economic prospects for 2013. In June 2013, the central bank raised the costs of borrowing in a pre-emptive move against higher inflation expectations. This is likely to be the start of a longer cycle of monetary tightening. However, the fact that the Indonesian consumer market has been resilient ever since the 2008-2009 global economic downturn means that consumers will likely remain confident and carry on spending, making private consumption a bright spot in the wider economic picture. Long-term potential of the consumer market is also great in Southeast Asia’s largest economy thanks to the large and youthful population and an expanding middle class. Consumers from the Netherlands represent 1.05 percent of the world consumer market. The recovery from recession has been uneven as business investment has been volatile, but private consumption has started to recover. Growth should pick up somewhat as consumer demand gradually improves, but poor access to credit for small and medium-sized enterprises and low liquidity of household balance sheets are important headwinds. As a result of the tepid recovery, inflation is expected to remain low. The current account surplus exceeds 10% of GDP, reflecting strong exports and in part weak domestic demand. Large fiscal consolidation has led to a major structural adjustment over the recent years. With the budget deficit reduced to below 3% of GDP, little further consolidation is assumed, which should lessen the drag on growth. Recent structural reforms to reduce labor market segmentation, increase work incentives and cut mortgage interest deductibility could help improve resource allocation and raise medium-term growth. Turkey’s consumers represent 1.26 percent of the world consumer market. The Turkish economy slowed notably in the third quarter of last year, dragged down by weakening domestic and external demand. For the full year 2014, the economy expanded, although growth was below 2013’s 4.0% increase. More recent data for 2015 paint a mixed picture of the economy going forward. The manufacturing sector signaled contraction for the second month in a row in February, but both consumer and business confidence improved. In addition, the Turkish lira fell to a new record low in March amid political uncertainties. The government has stepped up criticism of the Central Bank’s monetary policy stance, raising fears that the Bank’s independence could be in jeopardy. South Korean consumers represent 1.30 percent of the world consumer market. South Korea lowered its growth forecast for 2015, citing persistently weak sentiment among consumers and businesses. But the government predicted that overall economic conditions will improve from this year thanks to government measures, recovery in the U.S. economy and the fall in oil prices. The finance ministry said Monday that Asia’s fourth-largest economy will expand 3.8 percent in 2015. Six months ago, it forecast growth of 4.0 percent. It also lowered its forecast for this year to 3.4 percent growth from the previous forecast of 3.7 percent. In 2013, South Korea’s economy expanded 3.0 percent. The downward revision, which still represents an improvement from the growth estimated for this year, shows the government’s challenge in encouraging consumers to spend more and businesses to boost investment despite its expansionary policies and the central bank’s two rate cuts this year. Australian consumers represent 1.62 percent of the world consumer market. The state of the Australian labor market, the pace of economic growth and international risks are also the source of some unease in the country. High profile events like the closure of GM Holden and Toyota manufacturing operations in Australia and difficulties at Qantas have added to the perception of economic weakness. Despite these negatives, a number of positives continue to benefit households. These include the emergence of significant home price growth over the past 18 months and the fact that interest rates are set to remain at record lows for some months yet. Over the past year, the international economic environment has enjoyed its most stable period in some time. Accordingly, it is likely that consumer sentiment would be even lower in the absence of these elements. Mexican consumers represent 1.67 percent of the world consumer market. Economic activity is showing signs of recovery from the cyclical downturn experienced over the past two years. Economic growth fell to 1.1 percent in 2013 and a weaker than expected first quarter in 2014 postponed the expected economic recovery and led to a downward adjustment of growth for the year to about 2.5 percent. More recent economic data show that a recovery, led by strong consumer public spending and manufacturing exports, is underway. A pick-up in domestic demand should raise growth next year to about 3.5 percent. Russian consumers represent 1.93 percent of the world consumer market. The economy is bottoming out, barely avoiding a recession. The falling oil price and the tensions regarding the conflict in Ukraine are undermining consumer confidence. The ruble has sharply depreciated as a result of both factors, which has cushioned the economy to some extent. The strength of the recovery will depend on the flexibility of the economy and its ability to increase trade with non-sanctioning countries. Monetary policy has moved to full inflation targeting earlier than planned. Inflation has been driven up by sanctions-related price increases and the pass-through of ruble depreciation. The termination of the peg of the ruble to the dollar and the euro will give the monetary authorities greater freedom to adjust the policy stance for domestic requirements. India consumers represent 2.12 percent of the world consumer market. The Indian rupee plunged to a record low against the US dollar in mid-June 2013 amid the wider picture of emerging market sell-off (due to concerns over the prospect of the US Federal Reserve reining in its bond-buying program) whilst investors were also worried about India’s record high current account deficit. The falling currency made imported goods more expensive, hurting consumers in Asia Pacific’s third largest consumer market. A slower annual gain in food prices helped ease consumer price inflation to a three-month low of 8.28 percent in May 2014. That was certainly good news. But persistently high food prices have made inflation India’s Achilles heel, making it tougher for the central bank to lower lending rates even as economic growth sags. Retail inflation has been above 8 percent since February 2012. The Reserve Bank of India eased rules to spur bank lending and toned down inflation rhetoric at its last policy review, but few analysts expect it to cut rates anytime soon. Canadian consumers represent 2.26 percent of the world consumer market. The Bank of Canada’s decision to lower borrowing costs last month is deepening household concern that the economy is in for a rough ride, polling suggests. The share of Canadians who predict the national economy will weaken over the next six months rose to 41.5 percent, the highest since the 2009 recession and up from 36.1 percent a week earlier, according to Nanos Research. It was the first full week of polling since the central bank made its surprise cut on Jan. 21. Spanish consumers represent 2.38 percent of the world consumer market. Spain is still experiencing an economic decline, thus affecting the purchasing power of Spanish consumer. However, as basic necessities, food and non-alcoholic beverages will continue to represent a significant portion of consumer expenditure. In 2011, 13% of total consumer expenditure was on food and non-alcoholic beverages. Despite declines in consumer expenditure in 2014, many food and beverage categories are expected to see growth throughout the next five years. Brazilian consumers represent 2.38 percent of the world consumer market. The outlook for certain sectors is quite good, especially consumer goods, finance and infrastructure. More than half of Brazil’s 200 million population is considered to be part of the middle class, according to a study by the private research group Getulio Vargas Foundation. By 2020, the Boston Consulting Group projects that upper-middle-class and affluent families will make up 37% of Brazilian households, compared with 29% in 2010. A growing middle class means increased spending on consumer goods. Of course sales of global companies like Procter & Gamble are growing fast in Brazil, but there are some domestic businesses supplying consumer goods. One domestic company doing particularly well in this sector is Natura Cosmeticos which has a 13.4% share of the Brazilian cosmetics, perfume and hygiene market, with customers in 60% of all households. Various analysts have said Brazil, which is the world’s seventh largest national economy, will overtake Japan to become the second-biggest market for beauty products overall, after the U.S. It is already the world’s second-largest market for hair-care products. Italian consumers represent 3.65 percent of the world consumer market. The Italian economy contracted for the third consecutive year in 2014. Although annual growth figures remain in negative territory, preliminary sequential data suggest that the economy may have exited recession in the final quarter of last year. Moreover, recent data show that economic activity is slowly rebounding in 2015. Meanwhile, on February 25, 2015, the European Commission (EC) announced that it will finally not take disciplinary actions against Italy over its rising public debt levels. Defying European Union budget rules, Italy’s public debt has been increasing uninterruptedly since 2008. Public debt reached a record-high of 132% of GDP last year. The EC’s decision to allow more leeway for countries facing recession comes as very good news for the Italian government, which has been hoping for new flexibility rules since last November when the EC decided to postpone the assessment of Italy’s 2015 budget draft to wait for full 2014 economic data. UK consumers represent 4.05 percent of the world consumer market. Consumer spending growth is expected to moderate in medium term. Consumer spending growth has been boosted over the past two years by a falling savings ratio, but there are limits to how low this can go. One main scenario envisages consumer spending growth remaining relatively robust at around 2.3% in 2015, but then moderating to around 1.7% per annum on average in 2016-20. This will increase pressure on retailers already hit by fierce price competition and the ongoing shift to online sales. Households are likely to have to continue to spend an increasing proportion of their budgets on housing and utilities, rising to over 25% by 2020. French consumers represent 4.45 percent of the world consumer market. Preliminary data have confirmed the fragile state of the French economy. GDP grew an anemic 0.1% in the final quarter of 2014, resulting in a dismal 0.4% expansion across the whole of the year. However, a jump in the PMI in February and rising consumer confidence suggest that economic activity is gradually shifting into higher gear. The European Commission (EC) granted France an extension until 2017 to bring its fiscal deficit below the EU’s limit of 3.0% of GDP on 25 February. However, the extension is conditional upon carrying out economic reforms. Implementing the reforms will not be easy as the Valls government faces opposition from within its own socialist party to liberalizing some sectors of the economy (and creating a more business-friendly environment). Chinese consumers represent 5.29 percent of the world consumer market. China is renowned for its powers of production not its appetite for consumption. Thanks to the prodigious growth of its output, it surpassed Japan to become the world’s second-biggest economy back in 2010. But because consumption accounted for such a small share of China’s GDP, it did not dislodge Japan as the world’s second-biggest consumer. That changed in 2013 when Japan reported that its private consumption amounted to 292.9 trillion yen last year ($3 trillion, or 61.2% of GDP). Consumption by the government added another 98.5 trillion (20.6% of GDP). China has not yet reported equivalent figures of its own for 2013. But we know enough to conclude that its consumers outspent Japan’s. China has reported a GDP figure for 2012. That number (56.9 trillion yuan or $9.25 trillion) is not perfectly suited for our purposes. Strictly speaking, it refers to how much was produced within China’s borders, not how much was spent on this output. But it will do and it is a trend that economists are not ignoring. Most believe that by 2016, China will surpass the U.S. as the world’s top consuming nation. Germany’s consumers represent 5.29 percent of the world consumer market. The German economy is in good shape. Germany raised its forecast for economic growth for this year on the back of record high employment levels and strong consumption, which gets a lift from lower oil prices. According to the Wall Street Journal, the higher forecast was widely expected because analysts think the slide of both oil prices and the euro will give a growth stimulus to Europe’s largest economy. Japanese consumers represent 8.51 percent of the world consumer market. Despite being the largest consumer market in Asia Pacific and the second largest in the world (behind the USA) as of 2012, the Japanese consumer market is characterized by cautious consumers and slow growth. Businesses remain cautious as regards Prime Minister Shinzo Abe’s efforts to reinvigorate the Japanese economy. Some of his initiatives appear to have worked. The economy exited technical recession in Q4, with GDP expanding 2.2% over the previous quarter. While the rebound reflected an expansion in domestic demand and an improvement in the external sector, the decision to push back the planned second sales-tax hike and the decline in oil prices also played a role. More recent data suggest that the positive momentum carried into the first quarter: the manufacturing PMI remained in expansion mode in February and consumer sentiment hit a four-month high in January. 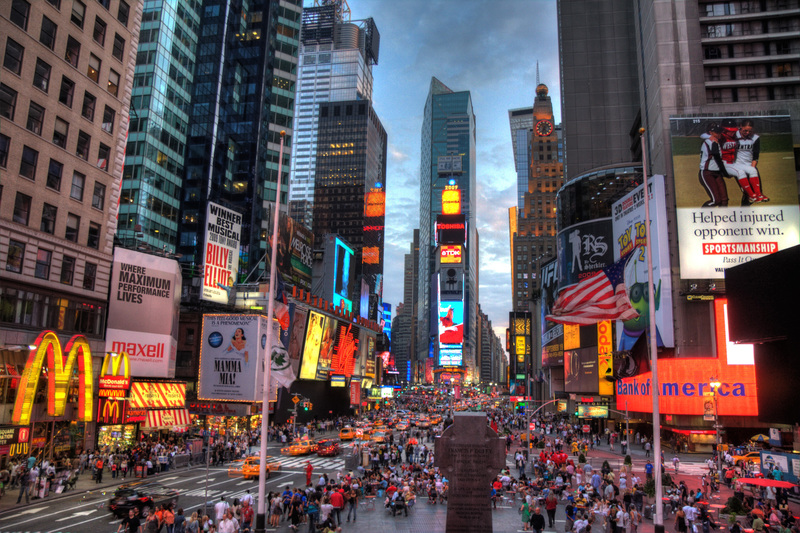 The American consumer market is a whopping 29 per cent of world market. Look for reenergized consumer spending as well as an uptick in home building to boost the nation’s GDP in the second quarter and beyond, on the heels of first-quarter GDP that’s expected to clock in as low as 2% — roughly on a par with growth in the fourth quarter of 2014, reported Kiplinger Magazine. While the strong dollar is making imported goods and services cheaper for consumers and businesses, it’s also deterring exports, which are a continuing drag on growth. Consumers are energized by the availability of more jobs and lower energy prices, which are putting more money into their pockets, some of which they’re shelling out for other goods and services. Spending by consumers in the fourth quarter of 2014 grew at the fastest rate in more than eight years. Moreover, with unemployment on the wane – further boosting perceptions of economic security — consumer confidence this year is at its highest level since 2007.